Smithfield Hog PropertyWater Rights Millard | RANGEfire! 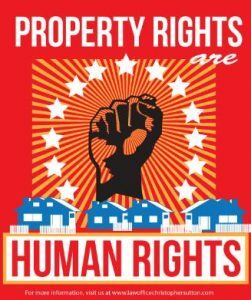 Among other things, basic property rights are a growing point of conflict in the world we live in. There seems to be a growing number of people whose disregard, lack of recognition and lack of respect for fundamental property rights causes them to increasingly seek to infringe them, creating increasing local contention and conflict across this land. NOTE: At the suggestion of my good friend Tim Smith, have condensed the following lengthy discussion. in a condensed version. For the condensed version, CLICK HERE. 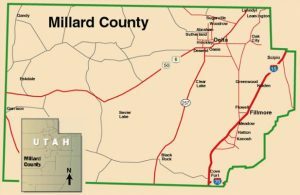 In terms of basic background to provide context, with 6500 square miles (bigger than several states), Millard County is a large, rural, agricultural county. Although there are some mountains, including the Pahvant Mountain Range along the eastern edge of the county, the vast majority of the county is desert, inhabited primarily by livestock and wildlife, with very sparse human habitation. With less than 15,000 county residents, and a population density of 1.9 people per acre, we have one of the lowest population densities in the state (ranked 25th out of 29 counties in population density). But the vast majority of county population is concentrated in a few areas, leaving by far the biggest part of the county with no residential habitation whatsoever. Of land ownership in Millard County, 75% is owned by the federal government, with about 10% state ownership, leaving less than 15% in private ownership. 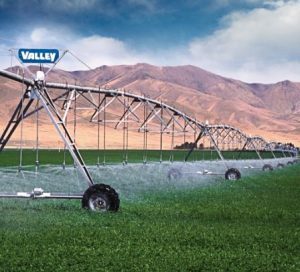 Thanks to the Sevier River, small creeks running out of the Pahvant Mountains, and a strong groundwater aquifer, a significant amount of the private land in Millard County is irrigated farm ground, concentrated closer to the mountains, and the Sevier River plain near Delta. And based on a combination of factors, including essential natural resources (primarily including water), coupled with essential infrastructure (including power, transportation access, etc.) and ample elbow room and space to operate, without any significant population growth pressure, there are already a significant number of good-sized industrial agricultural operations, including CAFO’s — concentrated animal feeding operations — in Millard County. 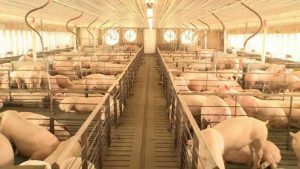 Based on these basic, background conditions, Smithfield Foods, a division of Murphy Brown, LLC., is seeking to expand its industrial hog finishing operations into Millard County from adjoining Beaver County, where it and its predecessors have been operating as Circle 4 Farms, for about 20 years. As part of that expansion, Smithfield is seeking a zone change to secure a conditional use permit to construct 16 new grow-out barns on the Millard County side of property Smithfield owns that straddles the Millard/Beaver County line. This is a very remote area, approximately 50 miles south of Deseret (a community of 350+/- current residents), and 20 miles west of Cove Fort (a community of 100+/- residents), and 35 miles Southwest of Kanosh (a community of 500+/- residents). But with large wind farms and geothermal power plant(s) in the area, along with seemingly ample groundwater (the area is still open to new appropriation), as well as Highway 257 and the Union Pacific Railroad passing through, there appears to be a good combination of sufficient natural resources and essential infrastructure for efficient industrial hog production. The closest neighbors who actually reside in the area are at the Kauffman Ranch at Black Rock, approximately seven (7) miles to the Northwest. As part of its proposed expansion, Smithfield had also been looking for contract growers in Millard County, so the David & Julie Johnson family viewed this as a good opportunity to create additional, productive, incoming-producing opportunities for their family. According to the available information, it is anticipated that they could create approximately 10 new jobs, each generating net income of $50,000+/year (that would mostly be occupied by family members), by entering into a contract grower relationship with Smithfield, and constructing four (4) grow-out barns capable of producing almost 5,000 finished hogs/year per barn. Just to be clear, this is what would be what is often referred to as a “Factory Farm.” The Johnson family’s plan was to do this on approximately 220 acres four (4) miles south of the small town of Deseret (again, 350+/- current residents). This would allow them to put otherwise essentially useless/worthless brush ground that has good access to essential infrastructure, to productive, beneficial use. So Johnsons likewise applied for a zone change from AG20 to AG Industrial, in order to secure a conditional use permit to construct the barns. Back in November, 2016, the Millard County Planning Commission held a public hearing regarding the zone change application. As may often be the case, apparently not many people were paying attention, and few showed up at the public hearing. The planning commission considered the substantive merits of the applications and determined that they met the requirements for a zone change under the Millard County Land-use Ordinance, and voted to recommend the proposed zone changes to the Millard County Commission for approval. Construction of the barns would still require conditional use permits. A lot of questions and concerns had to do with water, including sources, amounts, groundwater quality protection, etc. According to the information presented, each barn will use approximately ten (10) acre feet per year. So for Johnson’s four proposed barns, that would be 40 AF per year, which is roughly the equivalent of irrigating 10 acres of alfalfa. For Smithfield’s 16 barns, that would be 160 AF. But Smithfield represented that it had groundwater rights in the area of the Millard/Beaver County line totaling over 2000+ AF of water rights. And the statutory water policy of the state of Utah is that water rights must be put to beneficial use – in other words, use it, or lose it. But besides creating 10 new jobs (for just the proposed Johnson Family project) capable of feeding and supporting families, and additional property tax revenue in the amount of hundreds of thousands of dollars/year, residents said they couldn’t see any other “upside” or benefits to the community from the project (obviously, they don’t know about Factor 7 – the multiplier effect of 7 times that occurs when money is injected into a local, rural economy), they wanted to know what the benefit or upside would be to the “community” in approving the zone change and allowing the project(s) to move forward. Based on their perceived lack of community benefits, they voiced opposition to the project(s). Consequently, based on the growing public clamor and vocal opposition, following the second informational meeting, the Johnson Family threw in the towel and withdrew their zone change application even prior to the second public hearing before the Millard County Commission. Based on withdrawal of the Johnson Family application, there was a much smaller turn-out at the January 26th public hearing before the Millard County Commission, which then only addressed Smithfield’s zone change application covering its property at the Millard/Beaver County line. Smithfield company representative Jim Webb, and attorney Steve Styler made brief presentations to the commission, and answered questions. Kauffmans, who had been identified as essentially the closest neighbors, approximately seven (7) miles away, said that their ranching operation, that has been in place for well over a century, is fed by large natural springs in the area, and they would have serious, legitimate concerns about anything that might interfere with their water quantity or quality. It was explained, however, that if, by chance, this water useage might interfere with the water, including quantity or quality at Kauffman Ranch, that would be an interference with others’ pre-existing property rights that would have to be addressed and resolved. Some of those who opposed the Johnson Family application also spoke out in opposition to the Smithfield zone change 50 miles south, and presented a signed petition expressing opposition to the zone change. They said because they were opposed to Smithfield’s industrial production practices, the zone change should not be approved, and Smithfield should not be allowed to expand or move forward in Millard County. At the conclusion of the public hearing, Commissioner Wayne Jackson said that when he was campaigning for election last year, the biggest message he heard repeatedly from Millard County residents was that they didn’t want to continue to lose their property rights, and the right to use their property. He said that he didn’t realize what would happen to test those issues and principles so soon after taking office. On that note, however, Commissioner Jackson made a motion to approve Smithfield’s zone change application. At first it seemed that the motion might die for lack of a second because Commissioner Draper declined to second the motion. Commissioner Withers, who is serving as commission chairman in 2017, then stepped away from his position as chairman and seconded the motion. Commissioners Jackson and Withers then voted to approve the zone change, and Commissioner Draper voted against it. Those are the basic facts. What follows is commentary. Like I’ve said before, I don’t pretend to be a reporter. I only attempt to “report” facts as necessary to provide an appropriate context for commentary and application of broader principles. So now, we’ll take the basic facts, and “discuss” the issue(s). I will say at the outset that personally, I’m no big fan, let alone advocate, per se, of industrial agriculture (at the same time, I’m not necessarily any major opponent of industrial agriculture either). But I am an advocate for fundamental, inalienable rights, including property rights. When it comes to the concepts of freedom and property rights, what is good for the goose is good for the gander. It’s about principle, not personality. As a personal preference and choice in our family, however, we try to produce as much of our own food as possible. 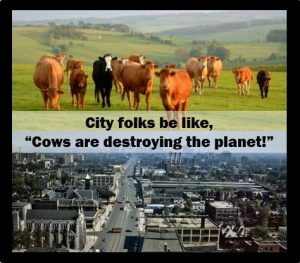 That’s why, among other things, beyond our up and down efforts at gardening, we also have a family milk cow, laying hens, and go to some length to produce and harvest the vast majority of the protein (meat) we consume. 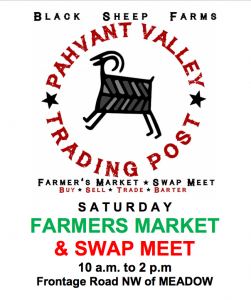 As proprietors of a local Farmers’ Market, we are also big proponents of what has come to be referred to as “Alternative Agriculture,” including the “Food Freedom Movement,” and “Buy Local,” which includes an emphasis on local food production, consumption, and direct, personal relationships with food producers, via direct marketing. But setting personal preferences aside, food freedom is just that – freedom to produce and consume food that corresponds with our individual tastes and preferences without unreasonable governmental interference, and having those tastes and preferences dictated by government or the so-called “will of the majority” – whatever those tastes and preferences are. Again, when it comes to the concepts of freedom and property rights, what is good for the goose is good for the gander. What I have learned from personal experience and observation is that small, local, food freedom efforts can encounter just as much opposition as large-scale factory farming — even more in many cases — from people who have no respect for fundamental property rights. Recent examples of such opposition include Utah’s cow-share legislation in 2015, proposed “Food Freedom Bill” legislation in 2016, and efforts to locate a small, grass-fed, raw milk micro-dairy near Kanosh. I also recognize, however, that we now live in a nation of 300,000,000+ people, and a world of six billion plus people. And every single one of them wants to be able to eat. Everybody wants/needs the basic necessities of life, including food, fiber, shelter, etc. And people want to be able to afford to eat – and ideally, many of them want to be able to eat as inexpensively as possible. And, increasingly, people seem to want to have the luxury of a little more protein in their diet. As it turns out, protein is a fundamental component of a healthy diet, but is also one of the most expensive, and challenging to produce, with multiple additional, complicated steps in the production/processing chain. And this food needs to be able to be produced and processed somewhere. In terms of basic location, conditions, circumstances and population density, Millard County is the epitome of “rural,” but unfortunately “urban” values increasingly seem to dominate local thought processes and resulting public policy. One of the reasons this may be more commonplace in Utah is based on the original “Mormon” settlement pattern, which continues to a large extent to this day, whereby many farmers and ranchers live in “town” rather than on their farms and ranches, and commute back and forth — which means that even many farmers and ranchers, and their families, are actually townspeople. Regardless of all the reasons, despite lip service to the contrary, one of the biggest and most troubling aspects of those urban values is a growing lack of recognition and lack of respect for basic, fundamental property rights. It is well established that if a property owner wants to use his/her property in a way that will directly affect and interfere with another property owner’s use of their own property, there is an issue that must be resolved — usually in favor of pre-existing use(s). 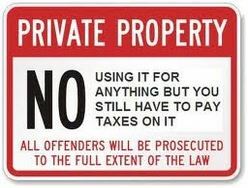 But an increasing number of people seem to be embracing the misguided idea that their own, individual property rights somehow include the right to attempt to dictate and control how other property owners use their property, even when such uses do not directly affect or interfere in anyway, their own property uses — even when such other property uses are miles away, and have no effect whatsoever on their own property uses. 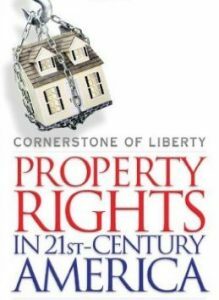 History has shown that the concept of property rights is a very slipperly slope. When it comes to exercising fundamental property rights regarding land-use issues, the public will clamor about just about anything. There are always fear-mongers who will claim public interests are being jeopardized by virtually any possible land-use. Twenty years ago, when Circle 4 Farms were just getting started in Beaver County, local residents were opposed — for many of the same reasons. But today, no one in Milford, Minersville, and the areas where Circle 4 has been operating for the last 20 years seems to be protesting Smithfield’s expansions. The folks in those areas apparently learned, from experience, that many of their fears were unfounded. Although there is some odor at times, after 20 years of operation there doesn’t seem to be any credible recent evidence of groundwater contamination. And Smithfield has been very good for the local economy, making it one of the most healthy rural county economies, with one of the lowest property tax rates, in the state. But that seems to be a hard lesson for people to learn. And perhaps it is all relative in a sense. At this point, although some rural communities (like, say, Delta, Millard County, Utah), might love to have a new Wal-mart, in more hoity-toity places like Sandy, Utah, they would protest that very same Wal-mart and claim it will completely destroy their neighborhoods and quality of life. In Park City, they will clamor about McDonalds. In Hawaii, they clamor about planting GMO crops. 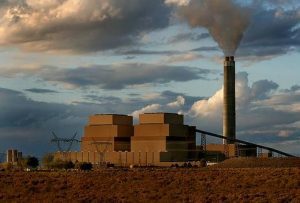 In California, (and even Sevier County, Utah) they will clamor against coal-fired power plants. In a place like Millard County, with multiple existing industrial agriculture operations already in the county, people from Deseret (remember, a small farming community of approximately 350 people), will even clamor about a hog operation 50+ miles away. And in Kanosh, people will clamor about the antithesis of industrial agriculture — a small, grass-fed, raw milk micro-dairy. The bottom line is, public clamor can’t be the measuring stick, because when it comes to proposed land-uses, people will clamor about anything. Increasingly, more and more people don’t want to have to deal with the realities of what it takes to produce and process food. Increasingly, more and more people don’t want to have to deal with the practical realities of producing and processing any of the basic necessities of life, including food, fiber, minerals, shelter, fuel, pharmaceuticals, etc. Increasingly, more and more people want all means of production and processing to be as far removed as possible – preferably in third world countries. But they still want all the benefits of cheap products, including food, without any of the inherent costs and associated burdens. Now, let’s apply these basic concepts to what is happening in Millard County, Utah. If Millard County has a recognizable niche in the world (aside from high school sports), it is as a place where there is essential infrastructure, coupled with sufficient natural resources (including water) and raw materials (including minerals, agricultural products, etc.) far enough removed from existing and growing urban population centers, with enough space and elbow room, that productive enterprises have and ought to be able to find a productive home without all the urban pressure that exists In closer proximity to more metropolitan areas. What is the common theme? They are all PRODUCTIVE industries. They produce, process and store basic necessities of life. And they all have to deal with the practical realities of such production, processing, storage and transportation (no one, for example, has been able to discover how to prevent human or animal exrement from stinking). 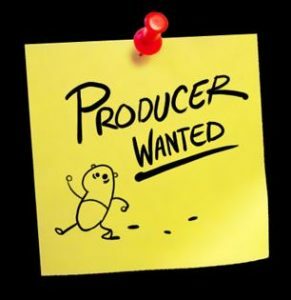 They are looking for a place to produce and process with the right combination of natural resources, infrastructure, and advantageous location with enough elbow room that they can continue to produce and grow without everyone acting like they’re ruining the world. At this point these productive enterprises view Millard County as a place where they ought to be able to safely continue to PRODUCE and process something of value – Food, Fiber, Energy, Minerals, etc., based on a combination of sufficient natural resources, and essential infrastructure, with enough wide open space and elbow room that hopefully they won’t feel like they’re going to be crowded out in the next five years. In short, they are looking for a place that respects basic, fundamental property rights. On that score, let’s also explore another common, related theme. The 3-4 communities in Millard County that would be closest to Smithfield’s expanded Millard County hog—finishing operation are Cove Fort, Kanosh, Meadow, and Deseret, with mountain ranges and/or long-distances separating all of them. At this point, Cove Fort, the closest community – about 20 miles away, on a dirt road — is an historic site – essentially a small tourist attraction – with only a handful of year-round resident families. 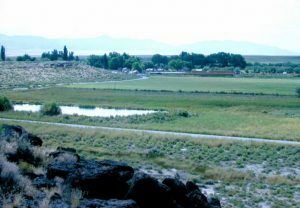 Kanosh, a community of approximately 500 residents, is down from an historic high of approximately 700 residents in 1900. Meadow, a community of approximately 300 current residents is down from an historic high of approximately 400 residents in 1940. And Deseret, a community of approximately 350 residents, is down from an historic high of approximately 660 residents in 1890. During the last 50 years – a time period during which the population of the State of Utah more than doubled – the populations in all of these small, agricultural communities have remained very static. They are areas with little economic opportunity and little population growth pressure. In a nutshell, Kanosh is hardly Park City, and Millard County is hardly Summit County. Likewise, Millard County is no environmental hot spot or major tourist attraction. It’s not on the short list for any new national monument designations. But you would hardly know that from some of the prevailing, hoity-toity “urban” attitudes and mindsets that exist in Millard County, that seem so determined to keep things just the way they are, and are more than willing to infringe private property rights to do it. Consequently, the challenge many “producers” face in Millard County — regardless of their production methods — is a fundamental lack of understanding that caused even our rural county commissioners to adopt a county land-use ordinance built on a shaky foundation of disregard and disrespect for fundamental property rights. It is this same fundamental lack of understanding and lack of respect of property rights that causes people in places like Delta (or Fillmore or Kanosh, or wherever) to think they should have the right to exercise dominion and control over how private property owners 50+ miles away want to use their property, including putting otherwise essentially useless/worthless brush ground to more productive, beneficial use. To that end, at the recent public hearing I heard that because a few locals make an effort to buy local (which is a movement that I completely support), they are inclined think that a majority of people in Millard County are buying all or part of their food from local producers. Consequently, they said, they disagree with Smithfield’s factory farming methods, and are therefore opposed to any zone change. (and I want to say that I am completely supportive of direct local production/marketing/consumption approaches). But the reality is, only a very small percentage of Millard County residents are actually getting all (or even most) of their food from local sources. Based on lack of local production and processing options (and a really mixed up supply chain), like most places, the vast majority of what is consumed in Millard County – whether it be food, fiber, energy, whatever — is shipped in from the outside. And the vast majority of everything produced in Millard County is shipped out of area…Most of what Millard County produces is shipped out of the area for ultimate consumption and use. And given my own extensive experience and observation of such local production methods and marketing approaches, I’ll share the other side of that story — about how such “local” approaches are typically received in Millard County. 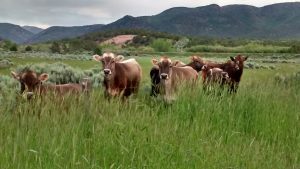 Several years ago the “other side of the coin” occurred, with exactly that kind of small, “alternative ag” producer – Utah Natural Milk – seeking approval for a water connection to build a very small, grass-fed raw milk dairy in Kanosh. This is the type of enterprise that is often referred to a “micro-dairy”. Yet this effort met with exactly the same type of response and opposition that Smithfield is encountering with its factory farming approach to finishing hogs on the remote Millard/Beaver County line. Vocal Kanosh residents likewise came out in force to oppose this small, sustainable productive enterprise. Why? For exactly the same reason – because of their lack of understanding, recognition and respect for fundamental property rights, and because their actions were guided more by emotional, personality-based factors rather than any sound, guiding principles. At this point, it should be clear that this lack of recognition and lack of respect for property rights is the fundamental common denominator and theme between all these locations and situations. Again, what is good for the goose is good for the gander. One of the primary conflicts between rural and urban American is a conflict between producers and consumers. A growing number of people are completely disconnected from the practical realities of what it takes to produce food and feed this country and the world. I love your train of thought, examples and critical points but this article is too long for urban folks who won’t take the time to read this as they don’t get the urgency from the get-go. 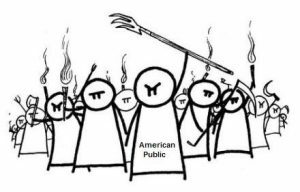 The way public land is managed it is basically “mob rule”, or majority rule, sometimes it’s even, noisiest rule. There are, for example, only 13,000 SUWA members, and yet they disproportionately get their way on public land management. All this attitude of how public land is managed spills over into how private land is treated and how the public thinks they also have rights to dictate how private land is used. No different than trying to build homes in or around small towns. Somehow new homes are evil. Probably going to turn into drug homes, etc. The guy or gal who invested the money and wants to be productive is now subject to his neghbors having more say than he does about his property even when there is no legitimate public, health, safety or welfare concern. So sad! 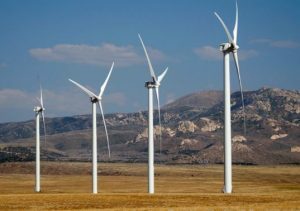 The prevailing SW winds are blowing strong enough to produce enough energy for a wind farm and the same wind blows the stench of dead pigs to the doorstep of every resident of Milford. Check your map before you write about where the downwinders and people affected by Smithfield expansion really are. Milford (pop 1200) is the main town affected by the expansion as they will have farms 10 mi to the North of town and there’s also barns as close as 10 mi to the South. The hiways here have pig trucks that regularly dump crap all over the roads on the way to the butchers.